Kwiff, the all new innovative mobile-only sports betting app that adds another thrill to sports betting by “kwiffing” or boosting odds, is releasing a fully integrated campaign that describe this feeling – the feeling of being ‘kwiffed’. The “It’s perfectly normal. Until it’s kwiffed” campaign, created by Droga5 London, comprises three humorous films that celebrate the feeling of winning before you’ve actually won, which truly differentiates kwiff’s offering over other sports betting apps who are all about one thing, shouting loud about bonuses and free bets. One execution features a class of man-children being told by their teacher that not only do they not have homework that evening, they can finish the day bursting giant bubble wrap. Another, features a man who is so proud of catching a falling glass from a cupboard before it hits the floor that he carries it around with him to his grave. At the end of each a voiceover explains that that is the meaning of kwiff. 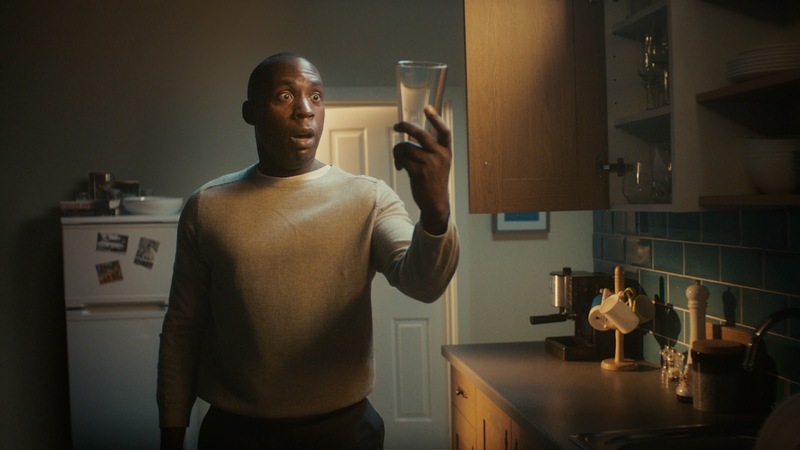 The ads will run as part of a fully integrated, cross channel campaign devised and delivered by Droga5 London. From the UI-design of the app itself to a season long exclusive deal with BT Sport featuring before every televised Premier League, Champions League, FA Cup and La Liga game this season. It’s supported through an online and mobile digital display campaign. "Do you like money? I do. But I have no idea how to get more. A really good way to get more money than you have is to place a bet with kwiff. kwiff is a sports betting app that occasionally gives you better odds than you initially buy into. If you download it now your life will be exponentially better. Also - we made some ads about how it feels to get these better odds. These are them." "For us, as a young company with big ambitions to disrupt a very competitive industry, we knew from the start that we needed to create not only an amazing product experience but also tell our story in a way that cuts through and makes people think. ‘It’s perfectly normal, until its kwiffed!’ truly tells our story about how we offer a product that delivers. But we add a magical twist, when you least expect it we might reward you with an almost abnormal experience of thrill." See the other two amazing kwiff ads on our YouTube channel!